100% MADE IN ITALY. THE ONLY PRODUCTION LINE OF ITS KIND IN THE WORLD. AUDI – BENTLEY – BMW – BUGATTI – CHEVROLET – HYUNDAI – JAGUAR – KIA – LAMBORGHINI – LAND ROVER – MAZDA – MERCEDES-BENZ – MINI – MITSUBISHI – NISSAN – OPEL – PORSCHE – RENAULT – SEAT – SKODA – SUBARU – SUZUKI – TOYOTA – VOLKSWAGEN. This model is equipped with a high visibility colour TFT display with a graphic interface for ease of use. The service management procedure is fully automatic, so there is no requirement for manual taps. 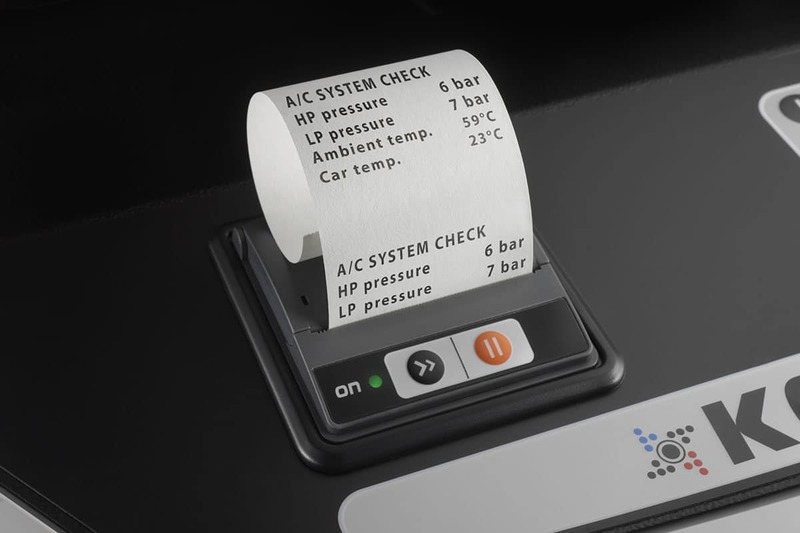 The distinctive features are the hermetically sealed bottle system, automatic service management system, refrigerant measurement and scale locking system. 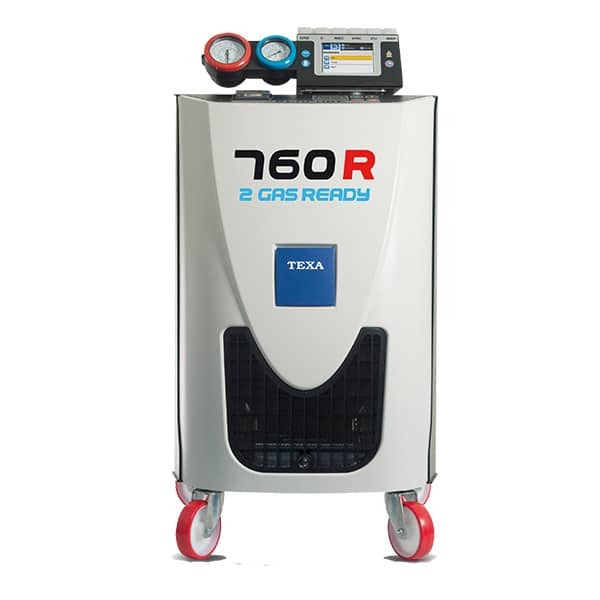 The 760R can be purchased configured either for the old R134a refrigerant or the new R1234yf refrigerant. 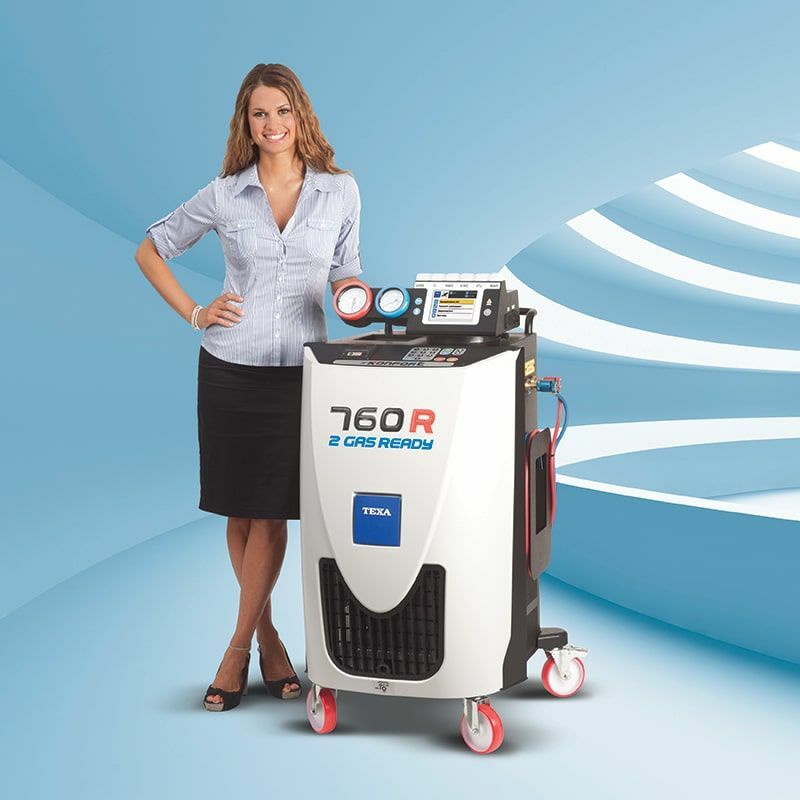 A retrofit kit is also available to change refrigerant type. TEXA’s dedication to quality in all these areas has led to the company gaining certification to ISO TS 16949 standard. The KONFORT Series conforms to European CE/PED safety standards, to the American standards governing refrigerant purity (SAE J2099 for both R134a and R1234yf) and to those governing efficiency in the recovery of at least 95% of spent refrigerant (SAE J2788 for R134a and SAE J2843 for R1234yf). Maximum product quality is ensured in all phases, from the design and selection of components to machining and assembly and on to distribution and after-sales service. All KONFORT service stations are subjected to 4 separate stages of testing. The electrical system is tested, weighing load cells and pressure transducers calibrated in an initial test stage. Functional testing is then performed to verify that all components and devices respond correctly to input and perform according to specifications. Pressure testing is then performed in a special sealed chamber: every single KONFORT service station is nitrogen tested to 20 bar to ensure tightness under pressure. In the final stage of testing, helium is used to detect even the slightest leaks. We are sure that none of our competitors boasts such an advanced and modern system. | With the introduction of new vehicles, particularly electric and hybrid vehicles, new oils have been introduced for these applications. 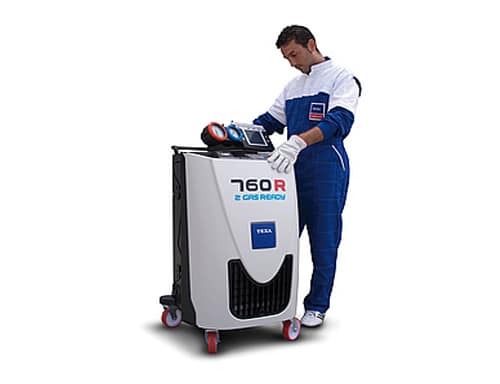 The correct oil type must be used relating to the air conditioning system to be serviced (eg PAG or POE). It is potentially damaging and dangerous to inject non-compatible oils into the system, so the operator must take care to avoid mistakes. 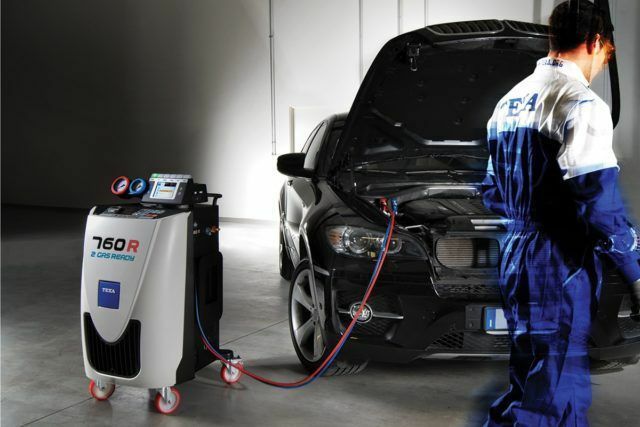 TEXA has developed an automatic oil bottle recognition system which, by comparing the data contained in the vehicles database, signals if the incorrect bottle is in use. Delivery is from Auckland, delivery times may vary. Delivery throughout New Zealand is included. Training and commissioning are additional if required. For more details on delivery please feel free to contact us before ordering. No returns are accepted and a non-refundable deposit is required before delivery.